Elaheh Mohajerin is a reader towards a Ph D degree in homeopathy from Berkeley University and another Ph D degree in acupuncture from World Health Organization. There are many different kinds of alternative and complementary health practices available today. This abundance of choice can leave us feeling overwhelmed and confused. Informed choices are vital, however, as part of the responsibility that we have, and we need to understand our own health and the health of our families. Homeopathy is a holistic health practice, treating the person as a whole when diagnosing the problem, rather than taking the illness out of its personal context and taking it in isolation. Homeopathy is a complex subject and can be confusing when applied for the first time. An understanding of the homeopathic process philosophy behind it is vital for effective prescription, making any introduction to homeopathy an important part of the whole process. The best introduction is to see at work a professional homeopath, who is trained to provide constitutional treatment. These visits will help the new patient to learn about homeopathy, and will also help strengthen the immune system and increase vitality. The patient will then be able to apply the remedies at home when needed. Homeopathy comes from the Greek word "omeos", meaning "similar" and "pathos", meaning "suffering". This literal translation indicates one of the fundamental aspects of homeopathy: the principle of "like cures like". Something causing imbalance in the body, being used to restore balance. This was first introduced by the ancient philosopher Hippocrates", but brought to life and developed by a German doctor, Samuel Hahnemann, in the late 18th century. Hahnemann was a highly respected physician who became disillusioned with the medical practices of the time. He was dismayed by the lack of curative response to the methods that were used and the inadequate philosophy of these practices. Hahnemann's first observation of "like cures like" came as a result of reading an article on the uses of "Peruvian bark" for the treatment of malaria. He felt that the author's explanation of why the bark was such an effective remedy was unsatisfactory, so he decided to take small quantities of the Peruvian bark himself to discover, by first-hand observation, if it had any effect on a healthy person. Hahnemann made a note of all the symptoms that he felt after taking small quantities of the bark, and experienced what we know today to be the symptom picture of China, namely "numbness of his extremities, intermittent fever, a hard small pulse, anxiety, and mental stupor". He found that the symptoms would disappear after a few hours only to reappear if he repeated the dose. What he was experiencing were all the symptoms that are associated with Malaria. Hahnemann was, in fact producing the very symptoms Peruvian bark was prescribed to cure! As a result of these extraordinary observations, Hahnemann realized that if he could discover the effects that other substances had on a healthy individual, then he could also discover what these substances would help to cure. He began to experiment on himself, using an array of substances and studying existing accounts of accidental poisonings, thereby broadening his range of remedies. He called this method of establishing the effects the substances had on healthy people "proving". Hahnemann's work led to a comprehensive, detailed understanding of the homeopathic remedies. This needed to be matched by a detailed understanding of the patient; the individual and unique symptoms of each patient became of vital importance in diagnosing the illness. The remedies were, however, still capable of producing side-effects. 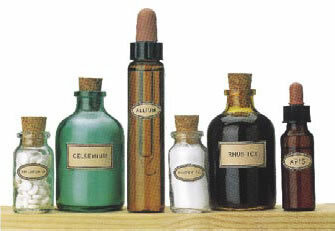 Hahnemann found that by diluting the substance further, these side-effects disappeared. He also established that if the remedies were shaken vigorously during dilution (a practice known as succession) this released the previously dormant energy of the substance, making the remedies more potent. The concept of energy, or vitality, is an important one in homeopathy, just as it is necessary to understand the vitality of the remedy, so it is to understand the vitality of the patient. We all have a life-force or energy running through us, which, quite literally keeps us alive. This force maintains balance, enabling our bodies to adjust to the "chi" and "prana" of Eastern medicine. The homeopathic concept is that when our vital force is out of balance, then our bodies and minds produce symptoms such as colds, rashes, and depression as an expression of this disharmony. The energy held within the remedies help to stimulate the energy of the vital force, thereby rebalancing at this fundamental level. The issue of how vulnerable different people are to diseases and ill health is an important one. Some people have amazing robust constitutions, rarely succumbing to illness, regardless of their lifestyle. Others are susceptible to every illness imaginable, even if they exercise daily and eat a balanced diet. Many factors determine the strength of your constitution. Genetic inheritance is an important one. Illnesses and weaknesses that run through families are often passed down through generations, and many people find that they have similar health patterns to other family members, such as a tendency to asthma or eczema. Others may find that there is one area that is always affected when experiencing disharmony in their life, such as headaches or a skin irritation. We all respond in different ways according to our own constitution. Homeopathic remedies can help strengthen and change these patterns. Thus altering the patterns of our susceptibility. By doing this, homeopathy can prove vital in the prevention of diseases as well as being curative in specific cases of illness. Repeated stresses in our environment that put pressure on both our physical and emotional selves can also weaken our constitutions. The concept of a maintaining cause a continuous stress that creates no room for change can damage our ability to rebalance. It is important that we address these issues as part of our increasing commitment to health. It is important to define an illness as either acute or chronic as this helps patients and practitioners alike to recognize the level on which it should be treated. Acute illnesses are self-limiting; that is, they have a defined duration, which usually includes an incubation period, an emergence of the illness and then a time in which to convalesce. Death can also be the final stage of an acute illness, however. So it is always important to consider professional advice when treating an acute condition. A chronic illness occurs over a longer period of time, with a gradual increase of debility, often displaying many different symptoms as the illness develops. The length of a chronic illness is largely unknown and guesstimates will vary depending on the nature of the disease and the constitutional strength of the patient. The question of suppressing-alleviating a symptom without looking at the underlying cause is an important one here. The body shows physical and emotional symptoms as a sign of disharmony. If acute illnesses constantly arise and are continuously suppressed by medicines without looking at the causation, then the underlying imbalance may ultimately produce a more chronic condition. This is not to say that self-help treatment is inadvisable, but the process of homeopathy can be particularly effective, supportive and empowering in the treatment of acute illnesses that are understood. The remedies do not act in a suppressive way, but instead allow the body to heal and rebalance itself as a whole. The remedies are mainly sourced from nature, plants, animals and minerals, although some synthetic substances are also used. 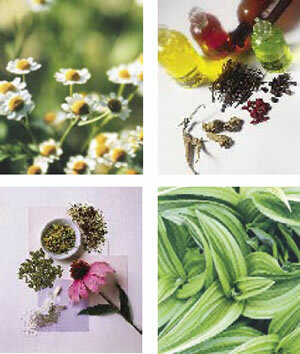 It is important to note that there is no cruelty to animals in the making of homeopathic remedies. The remedy is administered via a carrier. This is usually in the form of tablets or granules made from lactose or sucrose. The remedy should be placed under the tongue and left to dissolve. It is important that the remedy is taken in a clean mouth, so no eating or drinking for about 20 minutes before or after taking the remedy is advised. Due to the subtle nature of homeopathic remedies, they can be antidoted by very strong smells and substances such as eucalyptus, camphor or peppermint products. Alternative toothpastes can be obtained from most health shops. Only one remedy should be taken at any one time, and the appropriate remedy can be selected only after close observation of the patient's symptoms. One tablet or a few granules is equal to one dose. After taking the initial dose, it is important to observe any changes of symptoms as the remedy starts to work. Always stop the treatment if there are signs of improvement and start again if the symptoms return, or change the choice of remedy if the symptoms change. Side effects are rare when using the remedies, but if any one remedy is taken too often, symptoms of remedy may sometimes start displaying themselves or "proving". Moreover, it is not necessary to take the remedies over a long period of time as they act as stimulates to the body's own healing mechanism.